There are zillions of ways to reduce waste in our daily lives, and choosing a reusable coffee mug or water bottle from Klean Kanteen is one of the easiest and stylish ways to do it. How much waste is generated from our to-go coffee habits and single-use plastic bottle obsession? We produce enough Styrofoam cups every year to circle the earth 436 times. In 24 seconds, we will use 44,110 disposable coffee cups. If Americans stopped using to-go cups, we would save 160 million cups every day. We throw away 35 billion plastic water bottles each year. Plastic accounts for around 10% of the total waste we generate. I’ve never found a proper tea and coffee mug that fits my purse, my lifestyle, and my vibe, but I was recently sent a gorgeous Klean Kanteen to review and it’s been coming along with me everywhere. I’ve been using it for wild adventures (like hiking around our island home of Oahu) and not-so-wild (like working at my desk most other days), and it’s keeping my hot drinks hot, and cold drinks cold– they claim 6 hours with hot beverages and 24 with iced… but who can leave their coffee untouched for that long?). Easy to Clean: I’ve tested my fair share of water bottles and reusable mugs, and they often get filthy (let’s just be honest!). My Kanteen is easy to clean with their unique rounded corners that don’t allow gunk to grow, and the lid separates into two parts for easy cleaning. Toxin Free and Sturdy: Kanteens are all made with 18/8 stainless steel, which means flavors don’t stick and it’s easy to clean if your smoothie gets a little gunky. This means that the materials are also BPA-free, and they make stainless steel caps for many of their bottles, making plastic free an option. Even the threads are stainless steel, which means there is less plastic used and it’s easier to clean. Recyclable: The steel used to make Klean Kanteens is upcyclable, and can be turned into many other products, giving it a lifetime of use (for when your mug gets damaged beyond sippability). Good Business: They are a certified Certified B Corporation, which means they maintain rigorous and independent standards of for sustainability, safety, and corporate transparency. 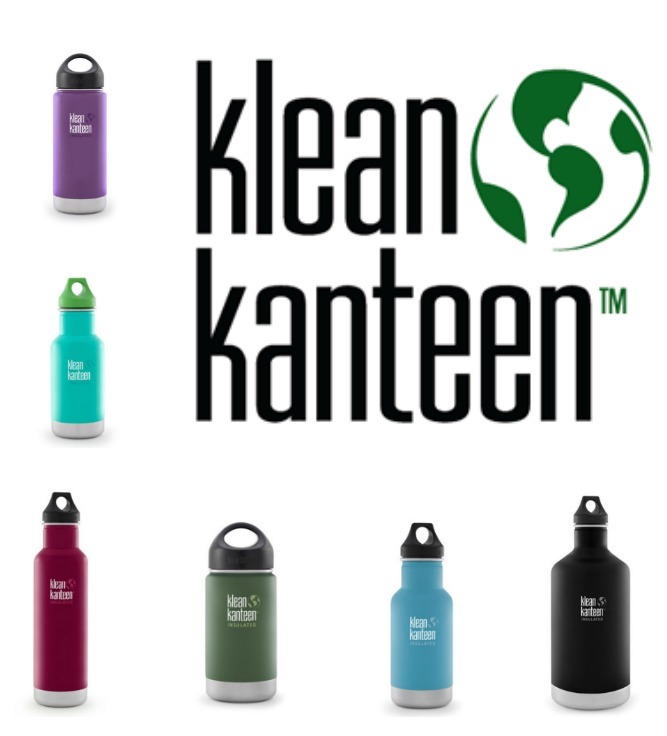 1% for the Planet: Klean Kanteen partners with cool environmental nonprofits and environmental organizations that work to educate the public about health and environmental issues. Since 2008, they have contributed to 1% for the Planet, making a commitment to donate at least 1% of annual sales to non-profit organizations working to protect, preserve and restore the natural environment. Whether you’re stopping at your favorite coffee shop or making homemade tea, a Klean Kanteen is an easy way to make your life a bit greenier (and shinier!) each day! Thanks to Klean Kanteen for the gorgeous mug!